1. Arabic Numerals – Although originally developed in India (hence also Hindu-Arabic numerals), the system reached Europe in the 11th century, through Spanish Muslims, and for this reason the numerals came to be known in Europe as Arabic Numerals. The Italian mathematician Fibonacci, whom you may remember from Dan Brown’s ” The Da Vinci Code”, was instrumental in bringing the system into European mathematics in 1202. 2. Coffee – It’s generally accepted that coffee originated in Northern Africa, probably in Ethiopia, from where it spread to Egypt and Yemen. But it was in the later that it was for the first time roasted and brewed, originating the drink as we know today. By the 16th century it had spread all over the Arab world from where it reached Europe and the New World. Coffee is probably the world’s most popular beverage, with over 500 billion cups being consumed every year, around 1/3 of which is produced in Brazil (over 2.5 millions of metric tons). 1. A good quality, freshly and very finely grounded Coffea arabica grains are needed. Use around 1 teaspoon for every small cup of water (or at least 2 teaspoons for a regular cup). 2. Add the coffee to cold water, along with some grounded cardamom seeds (optional, but it adds another dimension to a regular coffee), and slowly heat it until it starts to boil and some foam is formed. 3. Remove from the fire for a few moments and let the mixture cool a bit (just a bit). 4. Put it back on slow fire and wait for the foam to form again. It’s important to have a nice brown foam. 5. Remove from the fire and serve in small cups. Some powder in the cup is part of the ritual. You can use it to read your fortune later on. 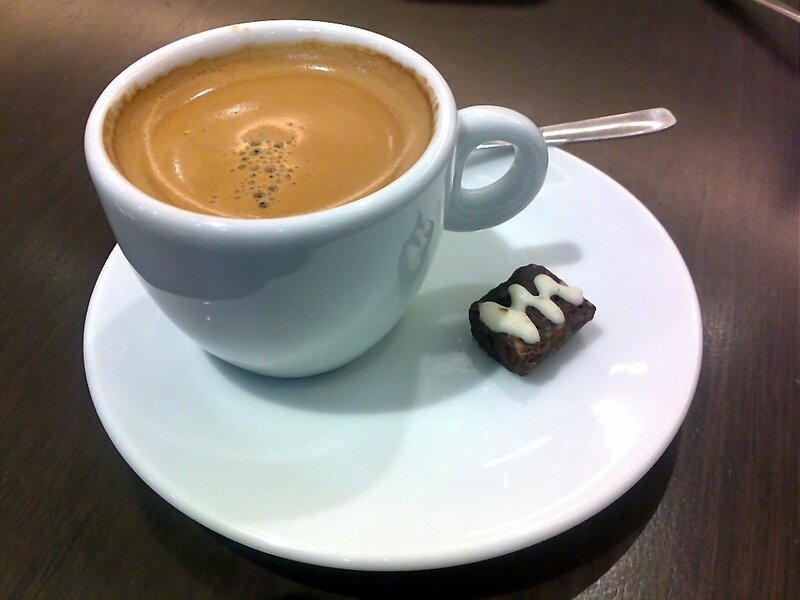 In Brazil this small coffee cup is called “cafezinho”, and although preparation methods nowdays usually involve machines, they all share two common characteristics: they are rather strong and served quite hot.